Dr. Petrungaro’s old website had loads of content including dozens of pages with over 600 words on each plus hundreds of before and after photos of his impressive plastic surgery skills. Having loads of content is ideal for implementing search engine optimization best practices during the website makeover process. We’ve helped Dr. Petrungaro more than double his practice surgeries over the last year! Dr. P is well-known in the NW Indiana & Chicago area for his remarkable Platinum Tummy Tuck with Lipo 360 and Mommy Makeover results. ”I was referred to Cutting Edge by a colleague of mine in December of 2016. My experience with them has been nothing short of outstanding. 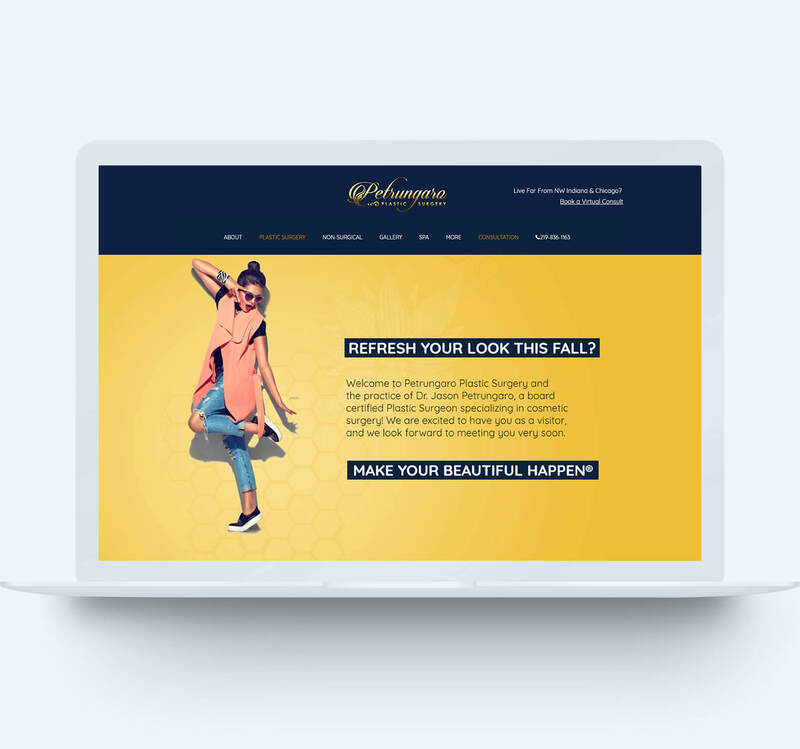 My website had grown rather outdated and was not optimized to attract the patients I was targeting, so the first thing they did was build me a beautiful site that is fresh, modern, attractive, and primed to rank high on the search engines. We have now started my search engine optimization and marketing and once again, Cutting Edge has blown me away. They handle my social media, my blog, and they search for and implement my site or my links on other sites with high authority. They also manage all Google advertising and show you everything they have done, everything they are doing, and all progress being made on a regular basis through regular updates in the form of charts or graphs. Your wish is their command. I have seen an exponential growth in my patient calls, my online consultation requests, and my presence in the very competitive aesthetic market of Chicago. I highly and strongly recommend Cutting Edge to any practice looking to make huge progress in all aspects of their online presence. They will NOT let you down!